If an accident happened in the street… would you help? Injury claims brought against first aiders aren’t just restricted to ‘Good Samaritans’ who help out off-duty. Claims can be brought against professional first-aiders working at an event. And if you’re a designated first aider at your place of work, you could also be liable if something goes wrong. With ‘no win, no fee’ litigation on the increase in the UK it’s sensible to protect yourself. If you’re a first aider or a first aid trainer, insurance could be the answer for financial peace of mind. But do you really need it? To help you decide if you need first aiders insurance, we answer all your questions. And we explain how to get the best price on cover you can count on. Q: What can first aiders insurance cover? Q: Why would a first aider need insurance? A: There are two main reasons why a first aider needs to consider insurance. 1) Litigation is on the increase and society is looking for targets to take the blame. It’s unlikely that a criminal court would find a first aider ‘guilty’ of performing first aid even if the outcome of their activities proved fruitless. But an injured or grieving party could seek personal redress via solicitors if they believe your actions, or lack of action, caused injury (or death). In this case, first aiders insurance can give you peace of mind as you know that you won’t need to find the money to defend your case or pay out any compensation that may be awarded. 2) If you receive payment for first aid activities, for example, you work at an event, then you are no longer simply being a ‘Good Samaritan’. In this situation you may be expected to perform first aid duties to a higher standard. You are also more likely to administer first aid in the first place and the severity of any injuries may be greater. Collectively, these factors increase the risk of someone bringing a financial claim against you. Q: Does our company’s insurance cover our first aiders? A: If you are responsible for the management of your office, you’ll know that in most cases you’ll need to have a nominated first aider. Your employer’s liability insurance will in many cases cover any claims brought against a first aider in the workplace. However, it can be a grey area. If you are the nominated first aider in your office, it’s worth double-checking exactly what cover is in place first or you could be in for a costly shock. A first aider would not normally be considered to blame for any outcome if they followed their training and gave the right treatment. But if negligent intervention causes additional injuries or makes the original injury worse they could be liable. Employers’ Liability insurance does not normally cover the provision of professional services carried out by their employees outside of firm’s time. For example, the company’s designated first aider performs potentially life saving treatment on a fellow employee after office hours and beyond the office walls. This is especially true if the insurance company is unaware of these activities. Insurance not only needs to cover first aid administered to employees, but also to other visitors to the workplace, such as customers. Make sure that your policy does not specify ‘employees only’ or any other similar limitation. Employers’ Liability insurance covers injury/illness sustained by the employee for negligence on the part of the Employer, not other employees. 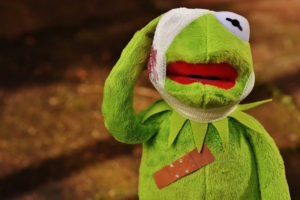 Even if you are covered under your Employer’s Liability policy for first aid administered to fellow employees or the public, this does not clear you from risk. You may still be liable for your own negligence (not theirs). You may even be required to compensate your employer for damages paid to a claimant if his Insurers decide to subrogate (claim back their losses from you). We would recommend that you get confirmation in writing that any insurance policy adequately covers all of your activities for your complete peace of mind. One way to ensure that you’re fully covered for your professional acts is to have your own policy, issued in your name. Because the policy is issued in your name, many possible conflicts of interest between you and your employer may be eliminated in the event of a claim. Q: Why would a first aid trainer need insurance? A: There are many good reasons for having insurance whatever your job. First aid is not an exact science and is open to interpretation. Certain areas are subjective. One trainer may emphasize a topic where another trainer may not. This all exposes areas for potential litigation. Many situations could give rise to complaint/claim. For example, a trainee misinterprets an instruction, which leads to the trainee incorrectly performing first aid on a casualty. The trainee could then try and blame the trainer for inadequate teaching/information. Many potential complaints can also arise during a training session itself. 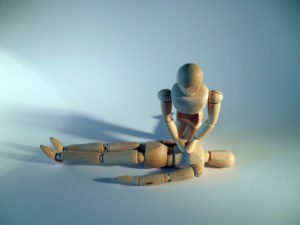 For example, you instruct a trainee to demonstrate the recovery position on a fellow trainee. During the procedure a trainee injures his/her back. This can then result in a claim being brought against you. Insurance also covers you for damage to property. For example, during a training session you accidentally stand on one of your trainee’s glasses and break them. Q: What is the difference between claims-made and claims occurring insurance? A: Most first aiders insurance is on a claims-occurring basis. That means the policy responds to claims made arising from accidents that occurred whilst you held the cover. Claims-made policies enable you to increase cover year on year, whereas claims occurring policies offer a fixed cover. However claims-made policies don’t always offer unlimited run-off and some charge you each year after you have ceased the policy, so can prove expensive in the long term. Q: What do I need to think about if I switch insurer? A: If you’re planning on switching insurer to get a better price or level of cover, make sure your new insurer offers run-off cover. This protects you if a claim is made against you for an injury that occurred during the period before you changed your insurer. You can select the option for retroactive cover for a small additional premium, which will get around this problem, or speak to your insurance broker for clarification. If you have not held insurance before then there would be no need to purchase retroactive cover. Q: How much should I insure for? A: There is no predicting how claims awards and costs will escalate in the years ahead. If your policy is on a claims occurring basis, we would recommend insuring for the highest amount available (presently £5m) as this is the amount that will deal with any claims which may surface years in the future. Q: What is a malpractice policy? A: Medical malpractice policies are an extension of a standard public liability insurance policy. This specifically covers you for injury sustained if you carry out treatment on someone. It also covers you if you train someone incorrectly which then results in an injury occurring. It would also cover instances during training when a trainee is injured, for example they hurt their back during CPR practice using a dummy. Q: What is professional indemnity insurance? A: Professional indemnity insurance covers your legal liability for negligence, such as giving someone incorrect or wrongful advice. Q: What other insurance cover should I consider? A: Your number one priority as a first aider or first aid trainer are public liability and medical malpractice insurance. These cover you for claims of injury to a person or damage to property. Professional indemnity insurance should also be part of your package to protect you from claims that you gave incorrect advice to someone else. Legal cover: At Park Insurance we offer a unique Legal Package for first aiders and first aid trainers. For your peace of mind, this policy covers you for criminal allegations. For example if you are training or treating a child and they claim sexual impropriety against you. It also delivers handy extras like Jury Service cover and Inland Revenue investigation protection. You’ll also gain access to useful free helplines and advice lines not previously available in insurance schemes for first aiders and first aid trainers. Personal accident insurance: Your job may be to help other people, but what happens if it’s you that has an accident? 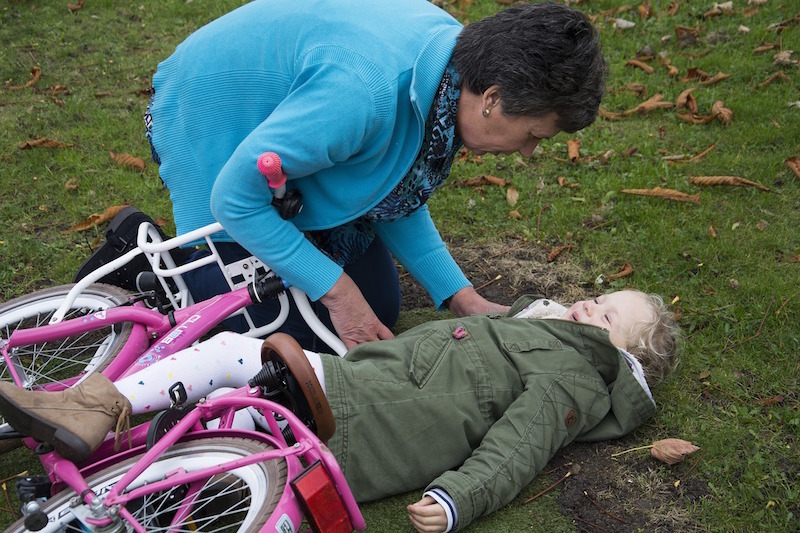 Personal accident cover provides a weekly payment if you are unable to work. If you rely on working as a first aider to pay your bills, this is insurance that will give you real peace of mind. Employer’s liability insurance: If you run a first aid business and employ other people, you’ll need to take out employer’s liability insurance. This is a legal essential if you have any staff even if they only work part-time or on contract. It pays out if they injure themselves or damage property because of anything to do with your business. If you don’t have it, you can be fined. Q: How much will first aiders insurance cost? A: The cost of first aiders insurance will depend on a wide variety of factors. These include where you work and the numbers of people involved, the level of indemnity (the maximum amount that can be paid out) required, and if any claims have been made against you previously. Q: Is first aiders insurance worth it? A: No one knows what the future will bring and if you will need to claim on your insurance. One thing that is clear is that first aiders and first aid trainers insurance is not as expensive as you may think. And buying it will buy you peace of mind that you’re financially covered even if something does go wrong. Q: Where can I buy first aiders insurance? A: Speak to first aid insurance providers direct or use a specialist broker, like Park Insurance. Our dedicated team has been trusted for 30 years and will find you cover at the best price. We’ll talk through your requirements to find out exactly what cover you need. And we’ll give you a choice of value for money options from our panel of providers. As a first aider, you have the power to literally save a life. Unfortunately, things can and do go wrong. When it comes to giving first aid, your decisions could make a difference between death, serious injury, and full recovery. So it pays to buy peace of mind in the form of first aiders or first aid trainers insurance. To find out more or for a free quote, get in touch with our friendly team. Call 0117 955 6835 or fill in our form online. How can doctors and other medical staff protect themselves against medical malpractice claims?